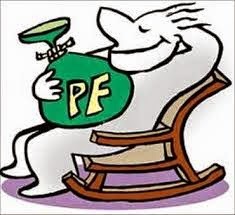 New Delhi: The Employees' Provident Fund Organisation (EPFO) will launch the online facility for submitting provident fund withdrawal claims in December, which would quicken such settlements and benefit its over five crore subscribers. "EPFO has decided to provide the facility of online application for PF withdrawal claims. It will be launched by mid-December," a source said. He said, "EPFO would eventually settle all type of claims including PF withdrawal and transfer within three days of filing those applications."